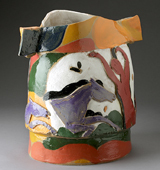 Ceramic CollectaneaThis unique collection offers a special opportunity to obtain highly valued, proven work by masters in the field of ceramic art that have not been available for some time. 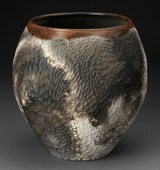 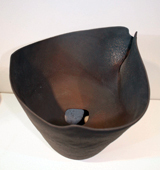 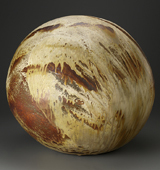 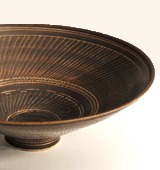 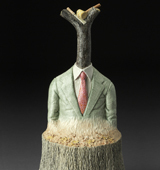 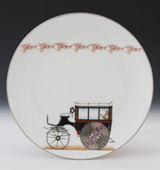 We are happy to bring these carefully selected pieces from private collectors and artist estatesonto the market again. 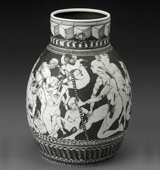 21.5 x 14 x 2.5″. 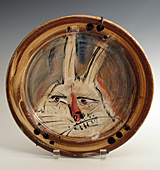 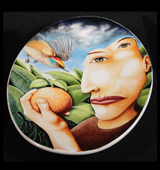 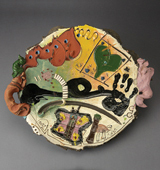 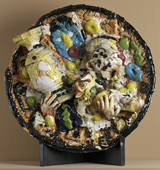 Ron Meyers, “Platter” 1990s, earthenware, 11 x 2″.